Students are introduced to the three stages of translation, initiation, synthesis (elongation) and termination. 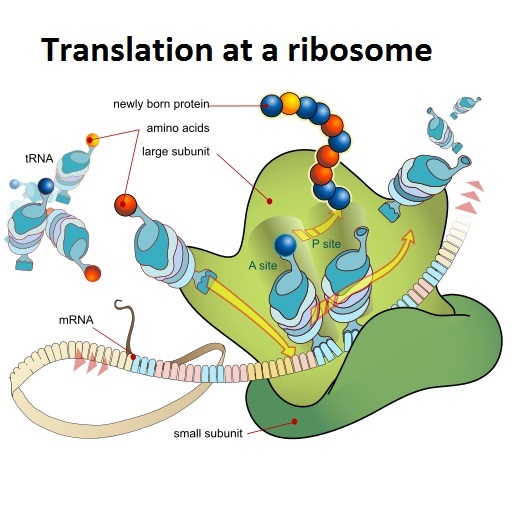 This includes the role of tRNA activating enzymes and the binding sites on ribosomes. There is comparison of free ribosome function and attached ribosomes as well as the roles of polysomes. Visualisations of molecules helps understanding and some short questions conclude the activity.What happens on a ribosome?